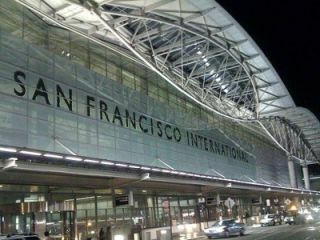 San Francisco International Airport (SFO) services more than 41 million domestic and international travelers annually. The airport is one of the largest in the United States and features 4 terminals with 7 boarding areas. Back in 2012 SFO launched a project to renovate Boarding Area E. As a part of this project SFO chose Omnivex Moxie to create an interactive wayfinding tool in this renovated area that would eliminate the need for various static maps, assist in navigating from terminal to terminal, and provide travelers with the best route to get where they need to go. passengers to explore their options for dining, shopping and things to do, giving them a more rewarding airport experience." The touchscreens are location-smart and thereby predetermine appropriate destinations based on the passenger's pre- or post-security location. The interactive wayfinding solution ties into other SFO systems allowing the maps to be updated in real-time. Plans are already in place to add more interactive wayfinding touchscreens throughout the airport, as well as to add additional advanced features. "By standardizing on Omnivex Moxie as our primary digital signage platform, we have the ability to push the envelope with regards to digital communications and put SFO years ahead of what other airports are doing in this space," says Vicki Sundstrom.